I'll be honest with you: I had longed to make some version of these little rolls for years but either essential laziness or fear that they would be frighteningly complicated put me off. Now that I've made them, I can't quite see what I was on about. Fiddly they may be, but I think they must be one of the easiest recipes to make in the whole book. And also one of the loveliest: there is something about the light, unwheatenness of rice pasta (which in effect these sheets just are) and the bundles of fresh herbs within that make them compulsive and uplifting eating. You can, and this is how I ate them first in a Vietnamese restaurant, add some cooked prawns and cooled, stir-fried chopped pork along with the herbs and rice vermicelli, but I can't honestly see that you need to. You can often find the rice pancakes, or rice sheets (emphatically not rice paper) in the supermarket. If you're unlucky in this respect, you will have to track down an Asian store, which offers a gastro-reward of its own. 1. Soak the vermicelli according to the instructions on the packet, and drain once the translucent threads are rehydrated. 2. 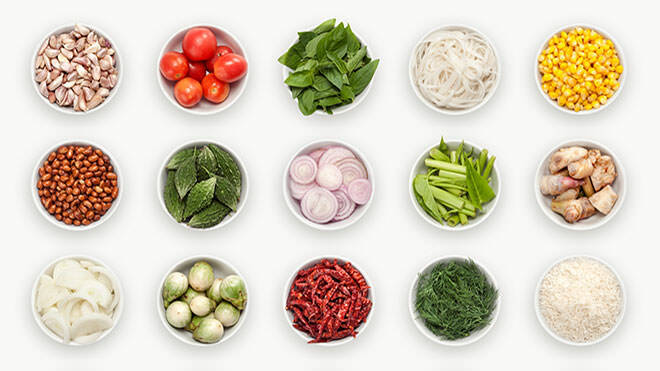 Flavour the vermicelli with the rice vinegar, soy and fish sauces, and then add the chopped herbs, cucumber and spring onions. Mix gently with your hands to try to combine the noodles, herbs and vegetables. 3. Soak the rice pancakes (again, according to packet instructions) in a shallow bowl of hot water and then lay each one on a tea towel to pat dry. 4. Run a fairly narrow strip of noodle mixture down the middle of the pancake, fold over one half and then carefully roll it up as tightly as you can. 5. Slice each roll into four and then arrange them on a plate. If you want, pour some soy sauce into a few little bowls for dipping the rolls into as you eat.